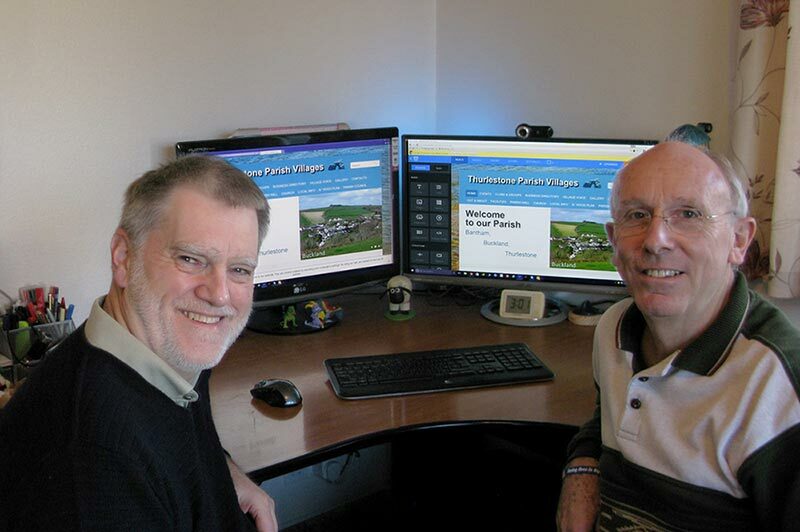 The Parish Council had been looking for somebody to develop a website for the parish for quite a while when, in early 2015 during some chance conversations, it emerged that we - Mike Bone and Paul Martin - had the skills, time and inclination to take on the task. Little did we realise when we volunteered ourselves that it would take the whole of the year to complete, and that the website would grow to over 150 pages! I graduated in electronic engineering and worked in the fibre optics telecommunications industry for over 30 years. In semi-retirement, I started teaching people how to use various photo manipulation software packages and built a website to promote my business. So, working with computers has always been a big part of my life. Since moving to Thurlestone in 2013, I have got involved in village life through the Village Voice magazine and am now its Advertising Manager and one of the Compilers who assembles the magazine. Contributing to the creation of a new website for the Parish seemed a logical extension to all that I have done before! Engineering was my life from an apprentice to an engineering company director for John Crane EAA, part of Smiths Industries. Computers played a big part in my career over the last 40 years. I retired and moved to Thurlestone in 2009. ​Using my practical engineering skills I have focused on community projects helping the Parish Hall, Parish Council, and All Saints' Pre-School where possible. Over 200 villages in Devon already have websites so it was natural for me to contribute to the creation of our own Thurlestone Parish Website. If you want to contact either of us you can do it from the Webmasters Contact Form.